You are the ultimate soldier! Defend your Country™ from a comfortable office chair while nobody can do you harm. Operate your drone over some generic middle eastern landscapes you know nothing about and hit those faceless targets! *Only works in the offline version. Note: To prevent websites from tracking users by their available controllers, most browsers supporting Gamepad input will report that there are no controllers connected until a button is pressed on one of the devices. This game was inspired by Out of Sight, Out of Mind. A visualization of all documented drone strikes in Pakistan since 2004. Made in a week in collaboration with Shortee for GBJam 3. 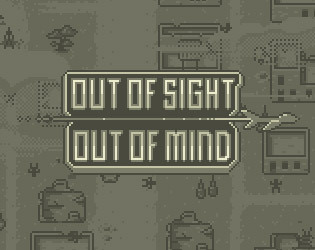 The music tracks in this game are all based on Split me EP by finnish chiptune artist OJJ.